Once you approach the third trimester of pregnancy there is often much talk, whether this is your first baby or not, of preparing a "birth plan". In some instances, this might just involve a tick sheet, completed with a midwife during a routine antenatal visit, in other's it might be a more detailed list of "instructions" to be provided to a couple's caregivers during labour and birth. Sometimes, a birth plan appears necessary based on previous birth experience, especially where there were complications or lasting birth trauma, and at other times, it's simply presented as routine. Some obstetricians and even midwives are outspoken about their displeasure at being presented with a written birth plan, whilst others appear to pester the women in their care to get one prepared. Either way, I'm surprised by what a divisive issue the writing of a birth plan appears to be! Prior to writing this post I encountered far, far more women who said that they would avoid writing a birth plan, than those who were planning to write one. In first time parents, the reasoning for this tended to be "I don't know what to expect, anything could happen, I just want to go with the flow." In women who'd given birth previously, the resounding response was "I wrote a birth plan last time, and it went completely out of the window, nothing went to plan and I was left feeling disappointed, so this time around, I just want to go with the flow." Going with the flow. I'm all for going with the flow - to a degree. Of course every single labour and birth is different, every baby is different, every couple is different, every hospital, midwife lead unit, or community midwife is, by nature, completely different. Nobody can make a decision about how their labour will progress, nobody can say how they will respond to labour - even based on their own previous experience, and certainly, nobody should be putting themselves or their unborn baby at significant risk just to satisfy their own ideal of the perfect birth experience. For this reason I, too, am against the term "Birth Plan". I've used it above, and in the title of this blog post, because everyone is familiar with the concept - and the concept, I am in favour of, it's the terminology that doesn't sit right with me. Where labour and childbirth are concerned, any Mother will tell you, a plan is a difficult thing to perfect. To use my own experience, when I had Seb I did not write a birth plan. My attitudes towards childbirth were very different five years ago. In that time, and specifically during this pregnancy, I have learned so much, I have gained a sense of empowerment surrounding my own pregnancy and my own body, and I've exercised my right to make decisions about my own care. However, when pregnant previously, I very much followed the lead of medical staff. My midwife prepared me for what would happen, I arrived at the hospital, and I went along with the instructions of the midwives on the ward. 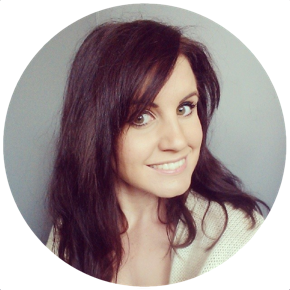 I'd said throughout my pregnancy that I did not want to receive a pethedine injection, that was one of the few things that I was particularly strong minded on, because pain relief was one of the only areas that was presented to me with the question of whether or not I had a preference. If I'd written a birth plan, it would have included my reluctance to have pethedine. You know what happened though, of course, I ended up having pethedine (and it was wonderful, by the way). I would still have had pethedine, even if it were written on my birth plan that I didn't want it, I'm quite certain, so I am very much aware that a plan does nothing to secure an outcome. I totally get that plans don't always go... to plan. That we don't always get a say in what our experience of birth will entail. That's Ok though. I was relieved when I first met with my doulas from Divine Doulas, and they wanted to talk to me about birth preferences and I think that is where the really important differentiation needs to be made. No, you can't plan, but that doesn't mean you don't have choices. There are decisions that I truly believe only a pregnant couple should make, they are not the decisions of consultants, or midwifes, or anyone else for that matter. If couples choose not to make decisions, then someone is going to make those decisions on their behalf, someone who I don't feel is in the right position to make that decision. For example, if it is not medically necessary would you prefer a midwife to still perform an internal examination on your cervix to see how dilated you are? Some women want to know, some women would like these examinations to take place regularly throughout labour to enable them to track their own "progress", which is fab and hopefully they're provided with them. But some women (like me) don't, I'd need to change position to allow the examination to take place, and it'd break any concentration that I might be directing in to my regular contractions, which could slow labour considerably. What's more, and what people seem to forget, is that the cervix can close during labour just as much as it can open, internal examination may cause a woman to go from being, say, 5cm dilated, to dropping back down to 3cm. During labour I was told (perfectly politely) "right, I'm just going to have a look inside, to see how you're doing", as the midwife slipped on a pair of latex gloves. If you don't stop to consider whether you want this to happen, do some research, make a decision for yourself, then you've just missed an opportunity to be involved in your own care. I don't limit the important things to consider to simply my own preference for a more natural, intervention free birth experience - that's just my shout. For some people, these things simply aren't very important, and that's absolutely fine, but there are a number of other things that might be. For example; if you find yourself unexpectedly taken in to theatre for a caesarean, are you happy for the surgeons to have the radio on? It sounds like an odd question, but surgical birth or not, this is still the birth of your baby, and you still run the risk of it taking place whilst The Darkness play in the background, or whilst you're listening to the voice of a particular radio DJ that annoys you, or whilst the news is on, relaying some horrific story about death in the Middle East. For me, sorry surgeons, but if you get a chance, pop my own music on for me, if time doesn't allow, please turn off the radio. To some this may seem seriously trivial, but believe me, you'd like to think you won't remember these odd little details for the rest of your life, but I certainly do. A few people that I've spoken to on this topic have said "My birth partner knows all of my wishes, and between us we'll just tell the midwives at the time." This is a noble approach but one that I personally don't understand, what difference does it make if you avoid writing it down, if you've made a decision, commit to paper, because in the experience of many, you can not rely on yourself, let alone your birth partner, to relay it at the time. Your focus is going to be entirely on your baby, your partner's focus, is going to be entirely on you. Neither of you are going to want to be answering questions that could otherwise be avoided. I don't need to insult anyone's intelligence by saying, labour and childbirth are very emotional, and you'll never experience an intensity like it, your ability to communicate can go entirely out of the window. If you've exercised your right to make a decision about how often you would like the midwife to measure your blood pressure, or whether or not you're comfortable having a student midwife in the room - then just whack it on paper. Someone coming over and saying "we have a student midwife who'd like to come in and observe for a little while, is that OK with you guys?" and for you to have to compute this information, make a decision, and actually respond, is going to seriously mess up your flow, when you could have just written "student midwifes welcome" on your birth plan. 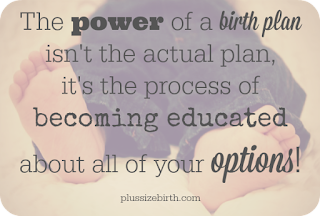 Personally, I'm an extreme birth planner, and I'm not about to tell anyone that it's my way, or the highway. I do think it's important to have your thoughts written down, I for one feel more organised simply for committing something to paper and it helps me to remain calm and focussed - so I'd end up writing something even if, for whatever reason, I had no intention of ever giving it to anyone! Why is my birth plan so ridiculously detailed? Because it's how my brain best works, it helps me to focus my thoughts and identify what's really important to me, it puts my mind at rest as to who'll be responsible for what, and makes me feel in control, which in turn, makes me feel positive, motivated and excited about what's to come. 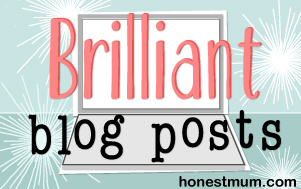 I know that anything could happen, which is why as well as my "ideal" homebirth plan, I've also written out my preferences should I find myself faced with the possibility of everything from a breech baby to an emergency section (see above about the radio). My "ideal" plan might not happen, and some of the most trivial aspects, I probably won't give a damn about anyway - there are things on there that people will think are a bit nuts (I want the curtains open if it's a beautiful day with blue sky - but closed if it's overcast - because the weather massively effects my mood - for example). There are things on there that wouldn't apply to most other people (cats to be allowed in the birthing room... not because I desperately want the cat present, but I don't want to be distracted by a well meaning midwife trying to shoo the cat from the room, and for him to then commence miowing and scratching at the door, when if he's allowed in, he will jump up on the footstool and promptly fall asleep). Yes I've thought of stuff down to the most specific detail, but I, personally, feel a tonne better for it. I've also written an "ideal" homebirth timeline, so that if things do go how I want them to go (I stay at home and spend a majority of established labour and birth in the pool) - Boyfriend, doula and midwife can double check who is doing what and when - it sounds overly controlling, but I can't help but think if I haven't made a point of writing at which point I want which person to put the second of my hypnobirthing CD's on... then nobody is going to put it on. Again, I feel calmer, more relaxed, and more positive for doing it. I appreciate that many people would find this sort of approach too thorough, unappealing, or would scoff and say it's pointless - but I've gained from it already so pointless it certainly is not, however, even if your birth plan is only a few sentences setting out how you want to be treated and when, I wouldn't question writing something down. I really do look back at my previous birth experience and feel as though "going with the flow" resulted in me doing as I was told, like a child, and having no input in to what was happening to me, my baby, or my experience of childbirth; I was told what was what, and I consented. Which is why I'd never go "plan free" again.